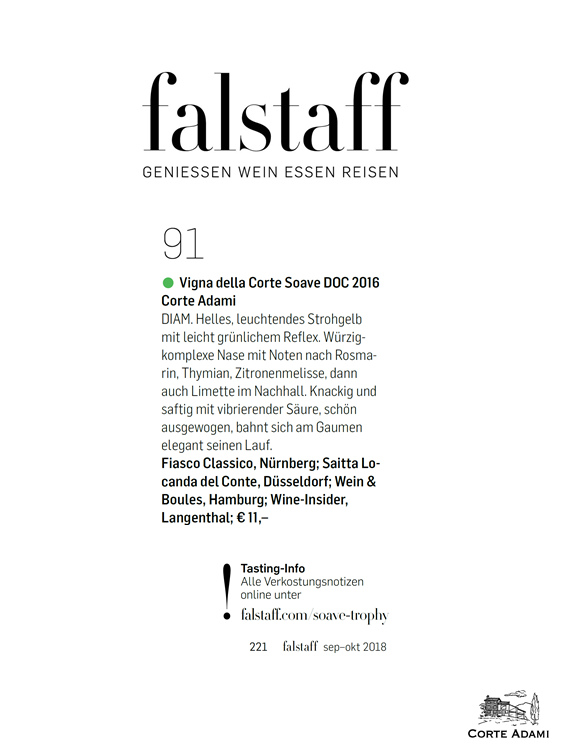 Reconfirmed the prestige of the Cru SOAVE DOC “Vigna della Corte” 2012, now BRONZE MEDAL for DECANTER 2014. Now available the 2014 previews from some International magazines: reconfirmed the quality of CORTE ADAMI‘s SOAVE and VALPOLICELLA wines. 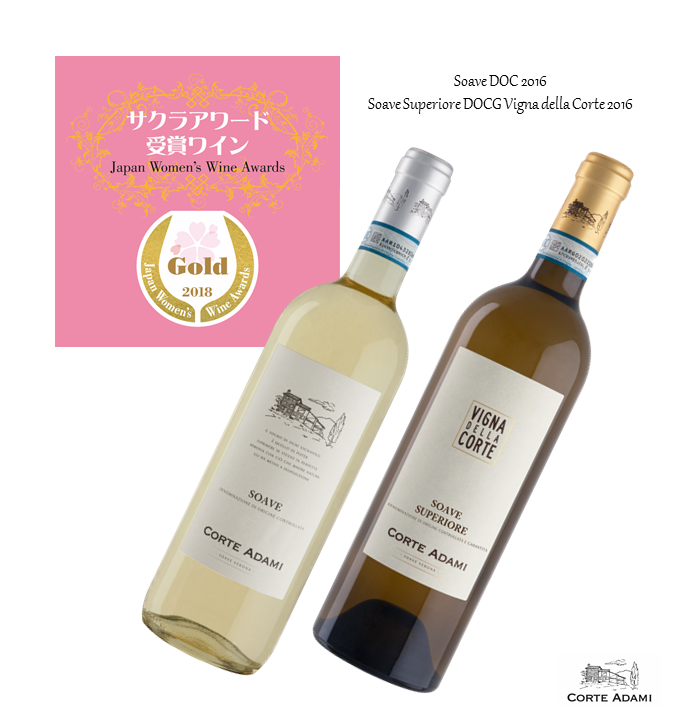 Now waiting for the other national reviews ..
Another great milestone obtain by the Corte Adami’s Cru SOAVE DOC “Vigna della Corte” 2010, now SILVER MEDAL for the DECANTER 2013 international competition. 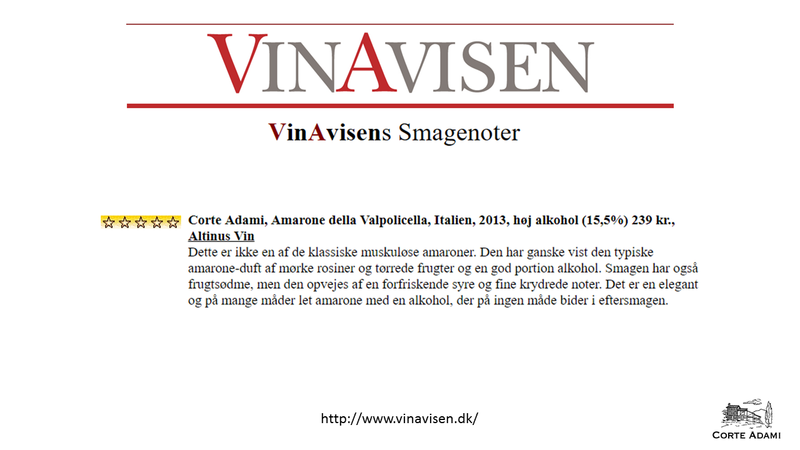 The wine VALPOLICELLA RIPASSO DOC SUPERIORE 2009 Corte Adami has received the FIRST PLACE in the ranking of the magazine VINE in Estonia (Estonian Sommelier Association).